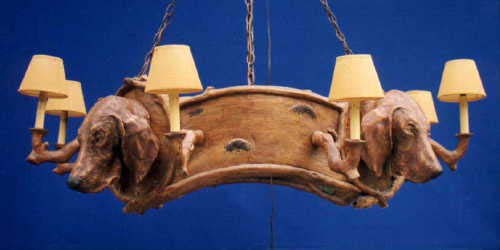 Description: 4 large dog head chandelier on 36" ring. Resin &steel. Shades extra.